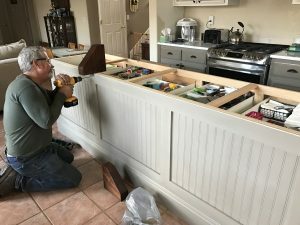 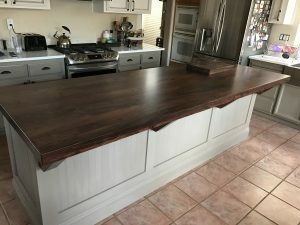 This kitchen island was made from salvaged California Claro Walnut lumber and was glued up to resemble a wood flooring pattern. 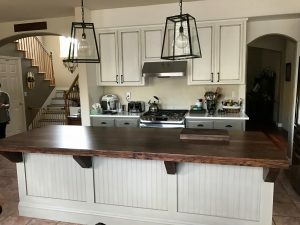 It turned out incredible and was the finishing touch to this fantastic kitchen remodel. 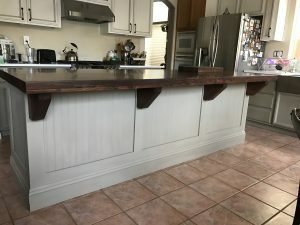 The four corbels were also made from salvaged California Claro Walnut.